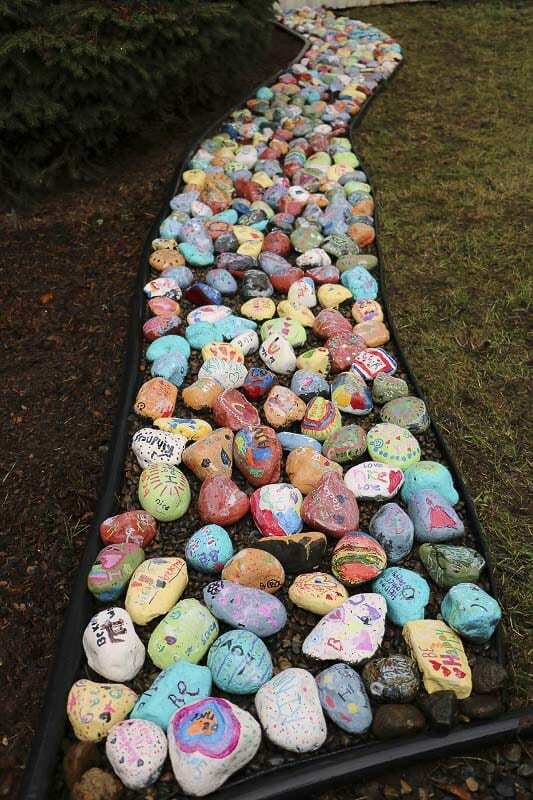 YACOLT — A river of kindness flows through Yacolt Primary School, and some say it rocks. Quite literally, in fact. 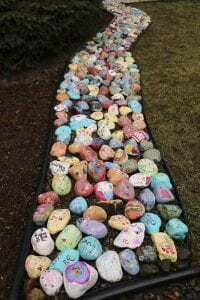 Step into the school’s newly revitalized courtyard, and you’ll immediately see a river of brightly painted rocks emblazoned with messages of kindness and positivity. 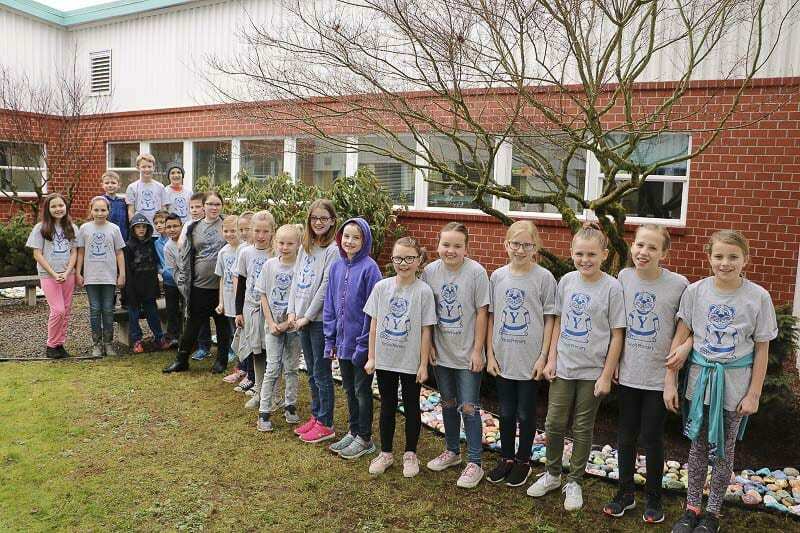 Every student in the school painted one of their own unique “kindness rocks” for the project, which is just one piece of a school-wide kindness and positivity initiative recently launched at Yacolt Primary. to help provide social-emotional support to its youngest students. 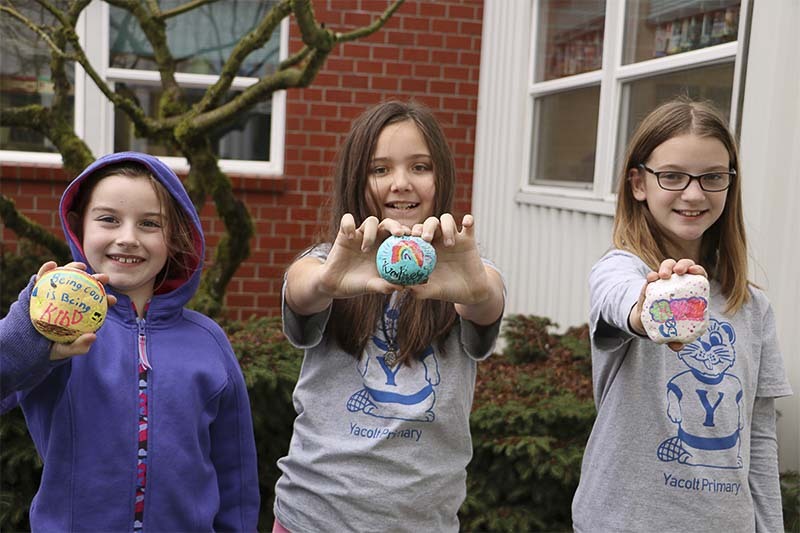 Once selected, the fourth-grade leaders didn’t waste any time in helping to get the Kindness Rocks project up and running. Sacrificing some of their own lunchtime, the student leaders painted a base coat on all the rocks so that students’ custom messages would stand out. The leaders also created “100 Acts of Kindness” posters to hang in each classroom, and teachers are filling them with acts of kindness that students have done for others. The completed posters are hung in the hallways for all to see. “Being a student leader means being a good example for the younger students, and even our brothers and sisters,” said fourth-grader Maddie Kaski.